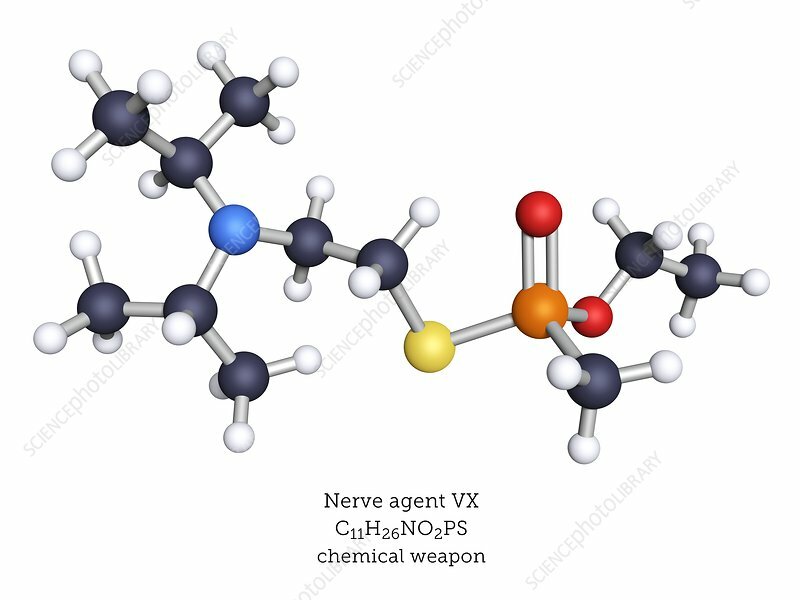 Nerve agent VX (venomous agent X) is a thiophosphonate developed for chemical warfare. VX is an inhibitor of acetylcholinesterase enzyme that causes death by sustained muscle contraction, particularly of the diaphragm. Atoms are represented as spheres and are colour-coded: carbon (black), hydrogen (white), nitrogen (blue), oxygen (red), sulphur (yellow) and phosphorus (orange).